In their second year, New Level Golf is starting to make some real noise. Their clubs are in play on professional tours, and recreational golfers are starting to discover the quality and performance, too. Recently, Matt had the chance to review the M-Type Forged wedge (read it HERE), and now it’s your turn. Six Plugged In Golf readers will have the chance to receive a New Level wedge, share their thoughts with the PIG community, and keep the wedge to add to their bag. Get the details on entering below. Step 1: Post a comment. Your comment must include your name, location, and handicap. 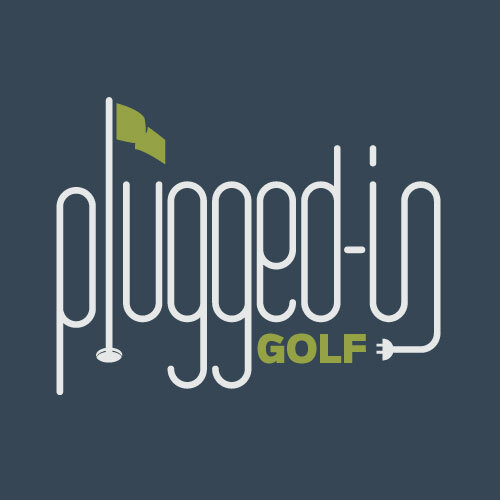 Step 2: Make sure you’re subscribed to the PluggedInGolf newsletter. That’s it! On Friday, April 5, we will contact six golfers via email, so keep an eye on your inbox. The six winners will be expected to test the M-Type wedge and fill out a short questionnaire about how it performed. Those answers will be shared on PluggedInGolf.com. The wedge is yours to keep. Your comment/entry will not be visible immediately. We need to approve all comments, so it may take a few hours before you see it. Please DO NOT double post. If your entry does not include the required information or violates 1 or 2 above, you will not be entered. If you do not enter your correct email address, we will not be able to contact you, so you won’t be able to win. Would love to try these wedges i think it is great when new ideas and clubs challenge the industry and individuals..
A nice opportunity for a senior to try out a new club, I play a 20 handicap regular flex, located in france, and I really need more spin on the greens. Always interested in seeing how someone besides the big names brings fresh ideas to wedge design. Nice wedges. 28 handicap. Chicago, il. I’d love to test out and review the New Level Golf M-Type wedge – I played college golf and still play frequently during the Spring, Summer & Fall. Thanks for the consideration! Tom Zotollo, New Jersey, handicap 13. Would love to try this wedge since I’m looking for a new wedge. I’m located in Maine and my handicap is 18. I’m a senior and play A flex shaft. I would love to play these as I’m looking for a wedge that will give me spin around the green. Ryan C, Annapolis- 12 handicap. As I am in the market for new wedges, I would love to try this wedge out! I’m in need of new wedges and have been looking into New Level. Would love to get my hands on these, test them, and give the readers and honest opinion from an average joe! Thanks for the opportunity. I’m a 15 handicap located in Lake Placid, NY. I will love to test this wedge. I really want to compare these to my Glide Forged wedges! Avid golfer and PIG fan here! Need new wedges and am very intrigued by everything I’ve read and researched about New Level. Would be grateful for the opportunity to put it to the test and game it. I appreciate all you do and the info you provide us golf nuts. Thanks ! I have been following this company on social media the past year and have been impressed with the look of the clubs. Would be thrilled to test a \ New Level wedge. Thanks for the opportunity! Hey, love to test this as I’ve never used any of their clubs before. See if it beats out my Taylormade ATV Wedge. Desperately in need of a 60 deg and of course a lesson! I would love to get a hold of one of the wedges to try. I have been working hard on my wedge play, & this would be a good measuring stick. I’m an artist with a wedge in my hands. My Vokey wedges are 8 years now, and looking for some new wedges this season. Would love to try out. Would love the chance to try this awesome, up and coming company. Would love to try one of these wedges! I’d be more than happy to try out one of these wedges! Becoming a big fan of the “Little Guys” compared to the Big Boys of the golf industry! Love to give one a try. I love the nee/little guy companies and have heard great things about New Level- this would be a great test! My New Level 623m’s just arrived today and I am already salivating about the opportunity to get my hands on more stuff from New Level. These wedges are a match made in heaven for my irons. Only thing that worries me is that if I try one, I will probably buy three. Dean Ruby, Juneau, Ak. 20 hcp. Only a pitching and sand wedge in my bag. Could use something in between or higher degree maybe. Just one? How would I decide, currently carry fore! They look awesome, would love to test them against my Edels. Wedges are my focus this season and would love to try the New Level M-type. Two Rivers (Trivers), WI 54241 – current handicap?, single digits , I live in Wisconsin LOL. My last round was at Torrey Pines South in February, shot in the sixties because we didn’t get to play the last three holes. Interesting fact, I got hit in the head on our first hole (10) and chipped in for birdie on the next hole. New Level is doing so great looking clubs!! Too good a deal to pass up! If they give more spin, I am in. In the market for new wedges now! Just what we need! A higher bounce wedge with heel relief made from 1020 Carbon steel. Would love to try one. I would love to give the NEW LEVEL WEDGE a try. I really could use a new wedge ! Gary, at gnewlon@stny.rr.com, I would love to try some wedges as they look great. I’m a 10 hcp. I live in Endicott,NY. The science of the wedge continues to evolve. The biggest gap between us humans and tour pros is there prowess with the wedge. If these wedges can help narrow the gap-great!! Harold Wetzel, New Market, Virginia 20 handicap. Being a wedge fiend I’m always up for finding the best wedge for my game. New Level is a cool new company. I’d love to test their stuff. and even though I don’t quite hit the ball as far as I use to my wedge game keeps very competitive with the younger players. I am always trying new wedges and think these New Level’s I’ve seen look and feel the best. Would love to try these in the heat of play. Would love to try a wedge that would spin the ball !! Ian Marshall 9 handicap. UK. I’d dearly love to test and report on this wedge. i currently only play a standard pitching and sand wedge, so a 56 degree would be interesting. I’m Harry Carter in Norfolk VA. I play to a 16 handicap and am always looking for new clubs to improve my short game. Having lost distance at 77 playing well at 100 yards in is the key to my game. The new M wedge may help me with this and I would love to try them. G’day, would love to see how the New Level M-Type handles my home track at Dubbo, NSW, Australia. Great that new names are challenging the establish manufacturers. Yes I’d love to try the M wedge. Yes, I’d like to test drive the M Wedge. Curious to find a wedge I can love…could this be it? Would love to try out these wedges! Daniel Bratlie, League City TX, I am a 12.0 handicap as of 4/1. Would love to try these wedges out. i would love to give this club a try. I have the NL 902s and they are amazing. I’d love to try the wedge, because if the feel is anything like New Level’s irons, it will be on the next hot list. Feel is so important to skilled players – if New Level delivers here, look out Vokey and Mack Daddy. It is falling in part to better wedge play. I would like the opportunity to feel another wedge brand and type and give my two cents. 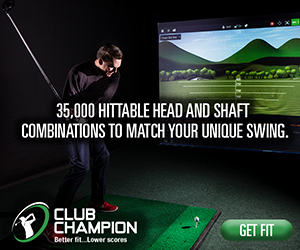 As like most golfers, I am always looking for a club that can improve my game. Would love to try these wedges and see if they are an improvement over my current ones. Just put a new shaft in my Cleveland wedge but sure would like to test this new wedge. I’m a 4 hcp. My dogged quest for the magic wedge continues …. please help ME help YOU!! Love to test out these wedges! They look phenomenal and very classy! My prototype Mack Daddy is pretty much worn out ….. time to try something new. Thanks for offering it up guys! Great site & enjoy your newsletter. Keep up the good work. This is great timing. Finding new wedges were on my list for the 2019 season. Doc Watson. Senior with a 1 handicap in Meeker, CO. Really hoping for a 65-degree wedge for those wonderful flop shots. Just have the wedges that came with my set of irons. Would love to try something new! My long game is far superior to my short game, so I need to get better at playing wedges! Move over, their is a new company on the block! Could New Level wedges take my short game to the Next Level? Let’s demo a wedge here in the Pacific NW please ! Love to Have one with a 14 degree bounce. I struggle with my wedge play, and would be interested in trying this wedge out! I would love to try the out. 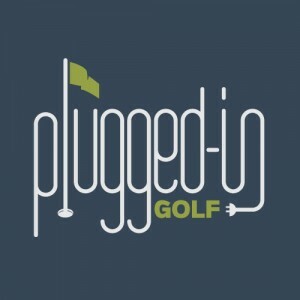 I know PluggedInGolf is the best golf reviewers. I’d like to find out if the New Level M-type is the best new wedge. I’m from Granite City, IL, have a 7 handicap and a good short game. I would love to try one of these New Level wedges and report back to the Plugged In Golf community. Thank you for the opportunity! As a senior golfer that use to be a low handicap and now is at a ten handicap I understand the importance of the wedge game to keep competing with the younger crowd. The old swing speed will never be back for distance but doesn’t mean I can,t stick the ball close to pin with wedges. I would love to try these out – I am actively looking for an infill wedge. My name is Mike Deverich, I live in Pueblo, Colorado and have a hdcp of 10.3. I was a 1.3 20 years ago but injury forced me to stop playing from ’03-’15. Lost 35% of my distance, I was ablle to hit it over 325 before my forced lat off. I use my wedges quite a bit to practice, I go to the top of the range early (Dawn) and hit 100-120 wedges from 20 yds to 125 yds. I am playing the Callaway Mack Daddy 3’s now so I’d be thrilled to test a nw wedge. 5 HCP. Would love to test a 58. Here’s hoping…. Need all the help I can get! Would like to try a new wedge. I’m shopping wedges now. Been looking forward to see if either golf store would stock these in their store in NWA. I have been using #NL as NoLimiTS for my son who has Tourette Syndrome and working towards high school and college golf. If I dont win, will be looking to purchase equipment later. Would love to try the wedges – season just getting started here in Wisconsin. Wedges are such an important part of the bag and game, getting the right clubs can save many strokes in a round. The versatility of their performance is paramount, having a club that can spin well, flop well, zip in low and stop is what we are all looking for. Always on the look out to test new wedges against current set. Nigel Phillips H’cp 5 but live in U.K. so transportation might be outside your capability. I am a 20 handicap age 74 playing at Candler Hills in Ocala Florida. I have difficulty getting the ball to “stick” on the green so am looking for a wedge that gives sufficient spin to someone with diminished/diminishing capabilities. I need to upgrade my existing wedges and would love to try out this New Level wedge and report back. Really interested in trying this wedge after reading Matt’s review in February. I was lucky enough to review the RTX4 back in October. I would like to try this newer wedge, handicap is 25. My wedge game could use improvement and I am always looking to improve. I would love to test the wedge and see how it performs against my Vokey wedges. Note my wedges are 52, 56, and 60 degree wedges. It is the degree of wedges I prefer to play. I am very curious to see how the New Level Wedges compare. They look good. I am a’ leftie’ senior off 18. Was lower but old bones and muscles lose distance and the short game becomes even more important. I would welcome the opportunity to test an NL on my local courses here in the UK against my current set and in this wonderful promotion. Us lefties all get judged against big Phil; so look how much help I need! I would love to review a 54° wedge as I need to replace a Vokey wedge as it’s my most problem club in my bag. Really need help there from 60-95 yards. Post a comment. Your comment must include your name, location, and handicap. Help me WEDGE myself into the top of the leaderboard with these new beauties. . Always need help with this area. Would love to try this wedge on behalf of all the high handicappers! Would be happy to test a new wedge. My wedges need an upgrade! something different and hopefully unique. If it’s a good wedge, then companies that make the wedge tell golfers how good their wedge is. However if it’s a great wedge,then golfers tell the wedge companies how great they are. I like the idea of performance feedback from “regular” golfers who we can more readily identify with. Plugged-In Golf does us all a service by providing that kind of a forum.